Inspiration can strike anytime from anything. 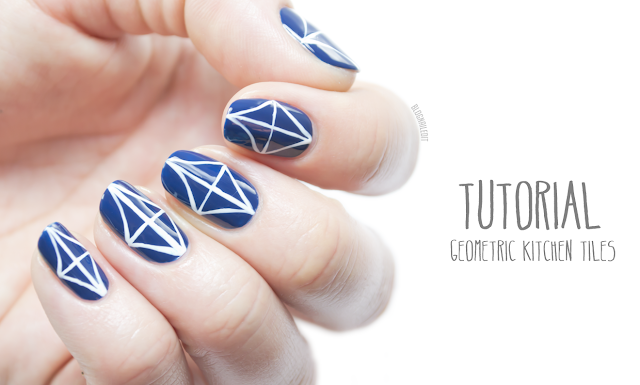 The idea for this geometric nail art came straight from the kitchen - it's kitchen tiles! This design is easy to duplicate, even if you're not adept with a striping brush. I find it easier sometimes to use a striping polish, like the Color Madric polishes shown here. I created this look for Divine Caroline, so visit the tutorial here to learn how to get the look! Simple, yet creative. I really like this. I love how simple AND pretty this looks.